Next Friday 7th December is late night opening for the village shops, and then at 5.45pm the band starts playing, to be followed by carol singing which starts around 6.30pm, making this one of the most charming evenings of the year takes place on the village green. Our local choir will be leading the carol singing, with the evening compered by Reverend David Hellsten on behalf of the united village churches. 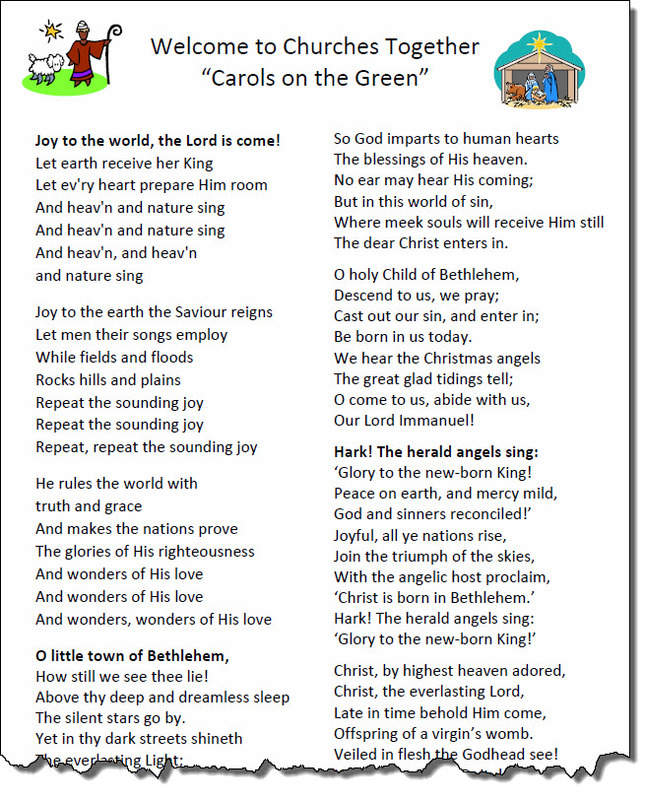 This year you can join in the singing using your mobile phone. 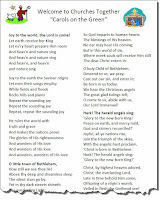 Simply hit the link below to view or download the carols song sheet. A little later, Father Christmas arrives with treats for the kids. Bring the family, bring yourself, and have a good time kicking off the Christmas season.